Usamos para hacer preguntas y representa lo que no sabemos, es decir, sobre lo que estamos haciendo la pregunta. Ellos son cinco: What, which, whose, who y whom. 1. ?????? are you looking for? My wallet. 3. ?????? of these two do you like best? The first one. 4. To ?????? are these flowers? To my mom. 5. ?????? 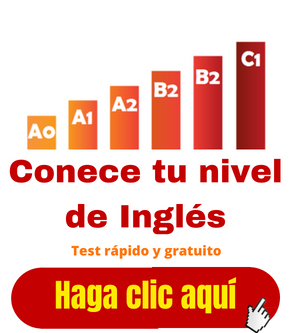 is helping you? The teacher. 6. To ?????? are referring? To Mr. Jackson. 7. I wonder ?????? birthday is today? Mine! 8. ?????? hasn’t already eaten? Nobody. b) It belongs to me. c) That is a sphynx cat. d) This design belongs to Valentino. e) I will take the red one, I don’t like the blue. f) I am looking for Peter. g) I will have a coffee, please. h) My car is the one on the left. Ejemplo: Who is he? → I don’t know who he is. a) To whom do I have to deliver this? c) Which country has more people? d) Whose glasses are on the table? e) Who is that man? f) With whom will she go? g) What did she do? h) Whose book did you take? 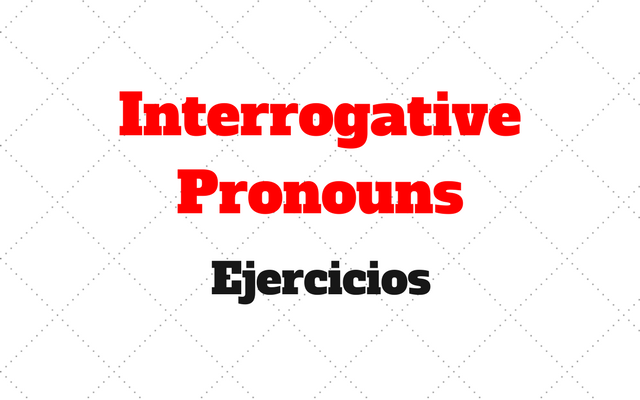 Terminan aquí los ejercicios con interrogative pronouns. Muchas gracias por su visita.